RV BBQ Ready to go. In Organ Pipe National Monument, Arizona. 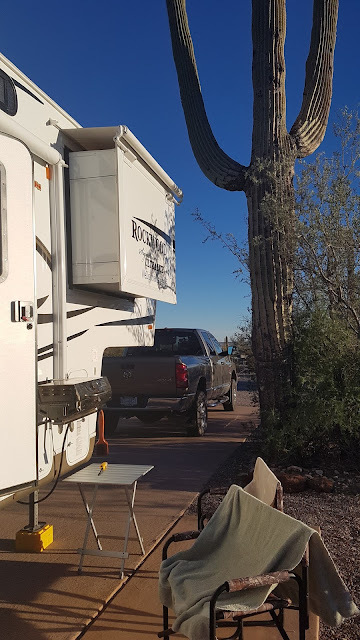 Most BBQ's that come with RV's are pretty small and most come with only one burner. This makes it hard to cook meat that has more fat in it, like a pork roast of even half a chicken with bone in and skin on. The flare up can be a real pain. The little BBQ we have on our 5th wheel is a good little BBQ but again it has only one burner and cooking one of my favourite "half chicken with bone in and skin on" can be a challenge to say the least. What I do to prevent flare up is use tin foil to make a little "pan". I use the heavy duty tin foil you can buy at Costco. 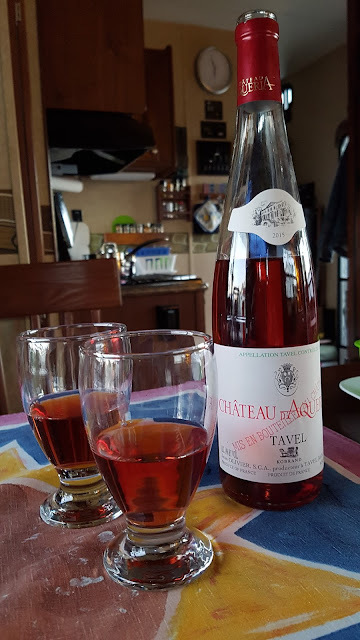 It is really good and strong. Take about 18 inches and fold in to a size that fits the meat you are going to BBQ. If you cook two large chicken breast, bone in and skin on, make two pans to fit each chicken breast. When you fold the tin foil make sure the shiny side is up to reflect more heat. Make little edges so the grease will not run off and cause more flare ups. Whole Breast of Chicken, Bone in, Skin on. A Small Tray For Each Chicken Breast. Asparagus cooking in trays with the left over fat from the Chicken. Just cook till crisp. A glass of rosé wine goes just great with chicken. 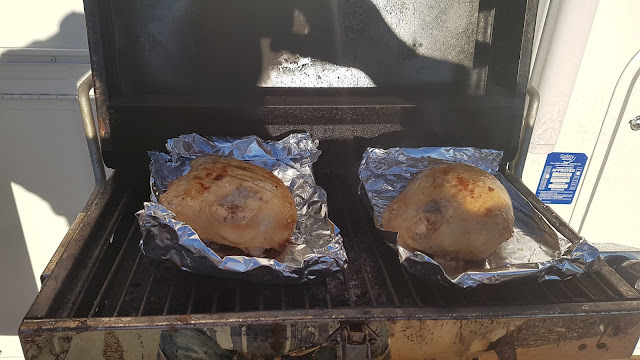 Once your chicken is cooked wrap it in some more tin foil and let sit 10 min or so. It will continue to cook. 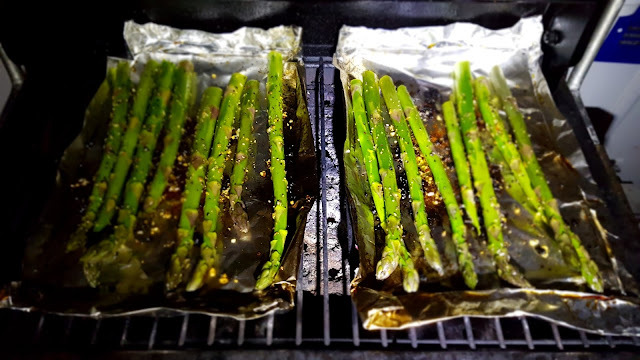 Now if you have some asparagus ready, throw them on the BBQ in the grease that's left on the pans or trays. Cook till crisp, don't over cook. Match this wonderful chicken with a nice glass of Rosé. Serve chilled. Well, I hope that works for you.